The Juilanna Mattress is a great mattress which comes with free shipping to your door step. 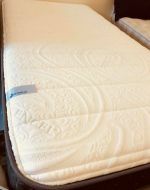 The Julianna Natural is a Talalay Latex Mattress consisting of a base foam with a top layer of latex. The tencel cover is cool and comfortable. 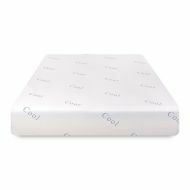 Another option is the Julianna Cool Mattress which is a cool feeling memory foam mattress. Again, take advantage of the free shipping to your door step. Order yours today.